1. 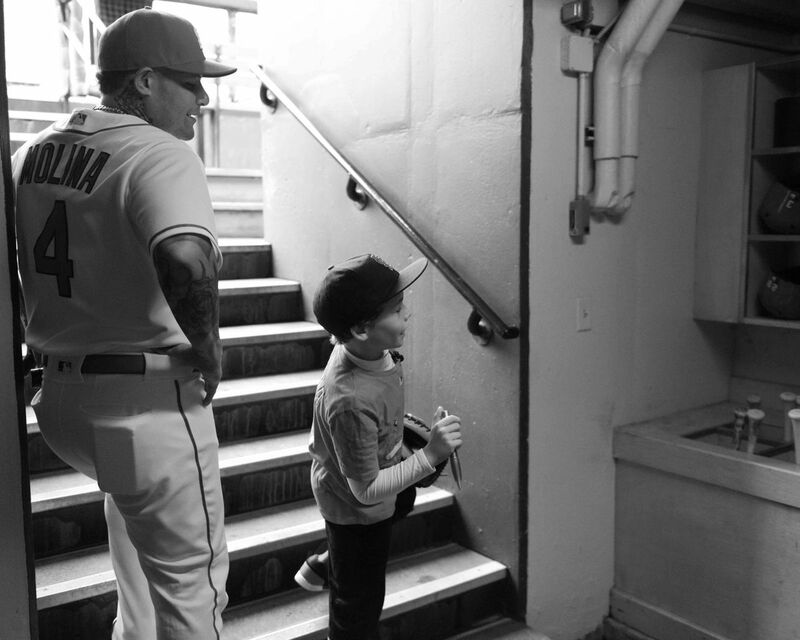 Aidan's morning with Yadi Molina in 2016, and any and every photographic session with Aidan. 2. San Andreas, Colombia with Carolina Gomez and Oswaldo Lopez. March 1994 What a sunrise. 13. Conversation with Madison Bumgarner and Hunter Strickland regarding the MadBum historic 2nd HR on opening day. 20. Aldo & Stephanie, 2013, St. Josephs Cathedral St. Louis, a trolly ride and a visit from a llama.